In the late 90s. Portland experienced a “heroin renaissance” when a lot of cheap junk saturated the city. It took a toll. 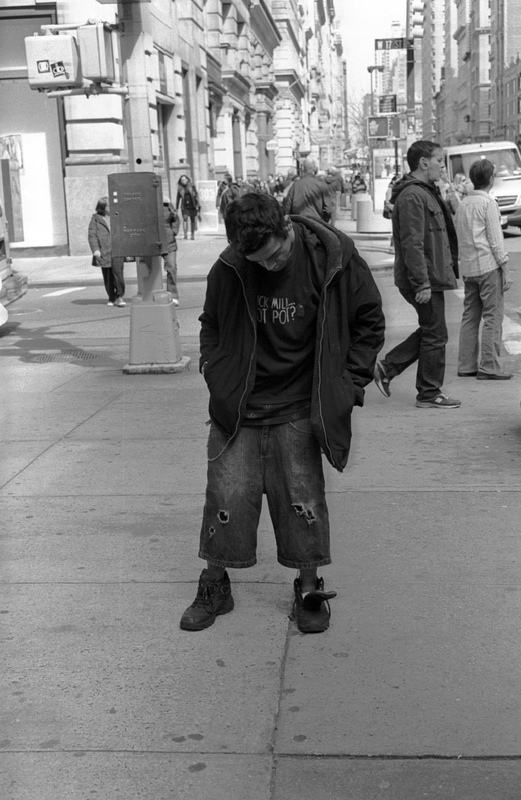 I would see junkies nodding in doorways, or sometimes doing the “junkie lean” in the middle of the sidewalk. When high they were ethereal beings. They seemed to dwell on a different plane. Their edges blurred into a soft focus like Vaseline smeared on a lens. When the junk wore off they turned cagey and menacing, their feral cat’s eyes gleaming in the headlights, bodies etched against the surrounding darkness. This entry dates from winter of 1998, an early attempt to capture a witnessed moment as if in a sketchbook. I think there may have even been a drawing that went along with it, but that’s long gone now. I can still picture the young man. He was perhaps twenty. 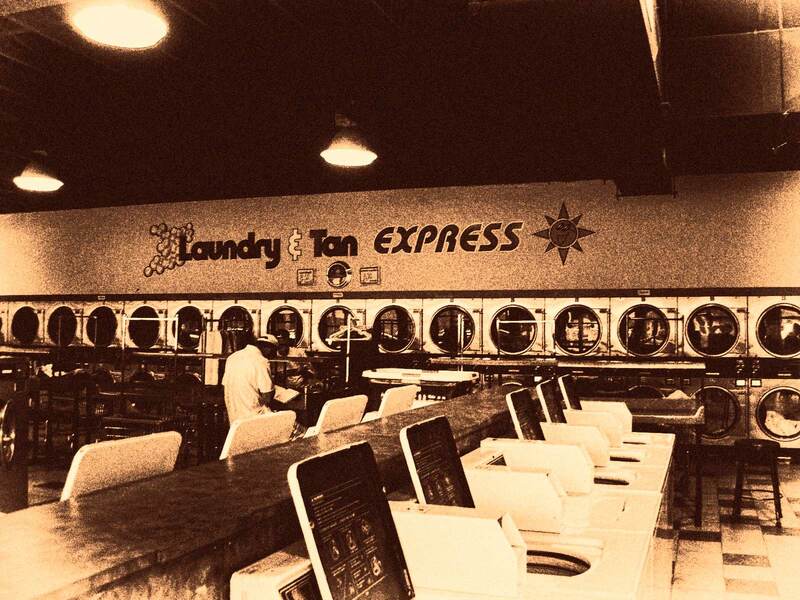 Though we were the only people in the laundromat, there was no communication between us. He was washing a single outfit. He took it out of the dryer and put it on while it was still damp. He fled. After he left I watched the little numbers on the dryer tick down to zero. Posted in Ancient Personal History, Poetry, Portland, Überhaus Diary. Bookmark the permalink. Late for that big job interview? Or just a moment up on the rim before plunging back into the the pit, again. Each of those lost lives had a story. And the others on the rims of their pits. We would see them sometimes sitting in the back of the courtroom at a bail reduction hearing or at a sentencing. Despair on their faces for that loved one who was so damn hard to love anymore.